Yuksek (Pierre-Alexandre Busson) has quite the impressive resume. He’s a classically trained musician that has worked with the likes of Chromeo and Amanda Blank, he has DJ’ed all around the world and his debut album grabbed the attention of many critics. Now his sophomore effort, Living On The Edge of Time, is ready for the masses. 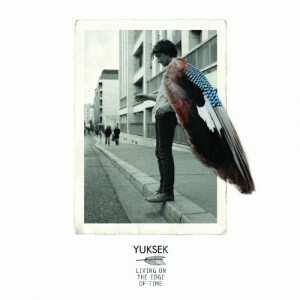 A listener familiar with Yuksek might take this resume into consideration and anxiously sit down to take in this album only to be a touch disappointed with what it has to offer. A new listener will most likely have a happier experience and chances are, that new listener will be swooped in to the party-in-a-play-button provided by Busson. Several tracks are stand-outs from the rest; I highly recommend “Always On The Run,” “On A Train,” and “Off The Wall.” Not to take anything away from the rest of the tracks as they’re all good. It’s just that, well, these three are great. One could possibly see the DJ Yuksek shine in the rest of them if they were mixed together to make into one long dance track in a club setting.